Sunday, March 24th from 2-5 pm @ Capital Brewery the bike club will be hosting a membership party. We’ll have munchies, beer (of course, our motto is Will Bike for Beer) and a few clinics to educate our members on biking safety, bike fitting/basic repairs and nutrition. 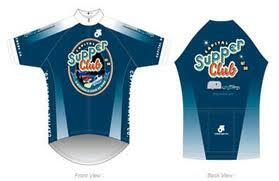 Part of our mission as a bike club is to help create a healthier lifestyle for our members. Various speakers will be be on hand to discuss biking topics and answer questions afterwards. Everyone is encouraged to attend to learn more about the club, meet some interesting local bikers, and learn a few new things. There will be information regarding the club, a chance to learn about club benefits, and some very interesting changes from last year will be unveiled. More details to follow, but for now, mark this one down on your calendar as something you don't want to miss.